Do you ever have cravings for random colors that you typically don't gravitate towards? 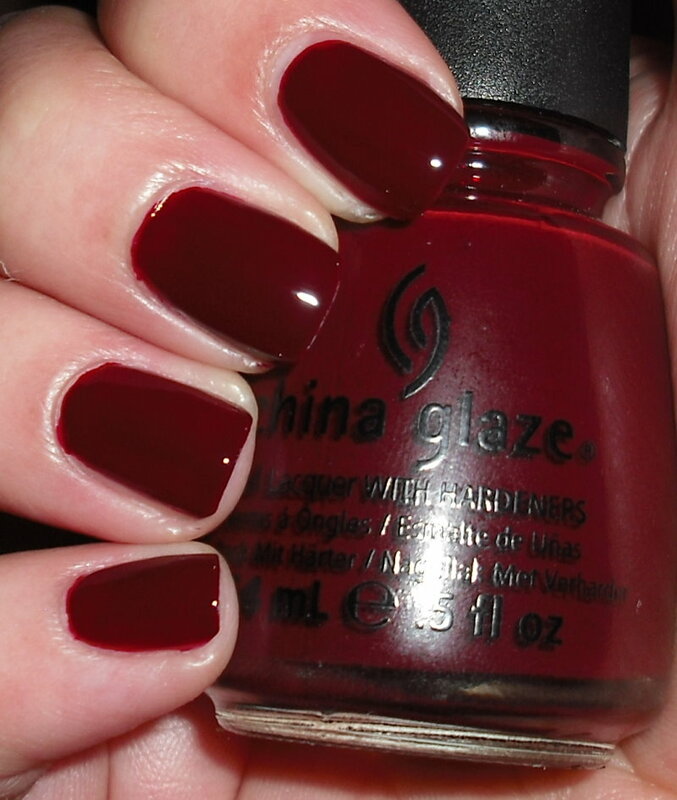 I do love reds, but for some reason I was in that dire state of needing this China Glaze polish. I don't know why. The deep red was really appealing to me. It just seemed like the perfect winter polish. Velvet Bow is a deep vampy red jelly. I'm glad I got this. My dire need was warranted. I know it's not a standout color by any means, but I love it. It's so rich, strangely enough I do not think I have many shades like this. This is a dupe to Revlon Vixen, however, if you have Revlon Vixen you know that formula is the utterly atrocious. This formula is so much better. If you have Vixen, I think this would be a worthwhile purchase to save you from the frustration of the Revlon polish. Velvet Bow is a beautiful dark red. I love it and am wearing it right now! This is on my toes right now and I love it so much!! Lovely on your! I know what you mean. I have so many reads so I don't really get a red lemming, but I had one really badly for a quick-dry Revlon polish yesterday. I absolutely adore reds, and I think now I have a lemming for this one too! So gorgeous. I love this one too! Very very pretty and not boring at all. I've never had an issue with my bottle of Vixen. It needs thinner now but it's 10 years old or so. I actually went BACK and nabbed this one, because I wanted it so much. 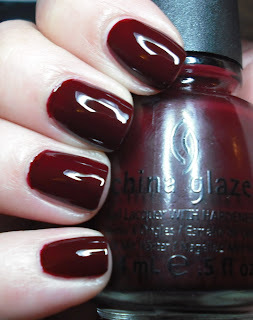 I don't really crave reds but I do love a dark vampy red, and this one is perfect! It looks great on you, Steph. Thank you! Sorry for creating lemmings! I bet this looks great on toes! Thanks! Thank you! I'm glad you picked this one up. So dark and rich!!! Love it! I bought this at Sally Beauty Supply today, a) because it was like $2 and b) because you liked it so much!